I believe it. Wading through the crap is tiresome though. Instant info is great of course and for your life, it matters. Glad you're ok. Thanks man. It's literally been the only way for friends and neighbors to find out if their friends and families are alive or trapped. I can't put into words how horrific this has been. Hold on to your asses, Floridians. The Latest: Florida Gov. Rick Scott says 76,000 people without power as Irma unleashes winds and rain on the state. Entire state full of "I've done this before" people ignoring that there's never been a storm like this. Florida is doomed. My parents just bought a condo in Punta Gorda last year. Supposed to get rewll y had there, CNN is broadcasting live from PG. Luckily the folks aren't in FL right now. Jose is doing a 180 and coming right back at us. I have no words. If you all lived in Pensacola, would you evac? Im torn after Ivan and its crazy path. Yes. Go. Irma is a killer. I wouldn't if I was on high ground and strong structure.....but I'm not that bright at times. Should weaken some before you, but ya never know. Don't waste time reading this. Go. Edit add. Wrong quote. I'm a bit freaked out. Thoughts and prayers to all. Be safe and smart, ES fam. Aren't you a chief? I SAID GO, Sailor! Holy cow! !!!! 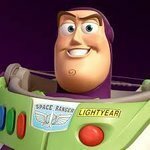 You should probably just stay Buzz. It'll be a life experience. Its Chief, not chief. And yes. That is part of my hesitation. I feel like i need to wait until my Sailors evac. But Im also worried roads will be clogged by the time they do. Base emegency team has a meeting at 0800 tomorrow to decide if they evac. Sorry for my non-capitalization, you know I mean no disrespect. I have lived there in the past, and while I'm not gonna say you should definitely stay, or that you will be in the clear, I will say that you still have a decent window of time, before making that decision. Not just because of the geography and pace/pattern of the storm, but also because I think you can get out of Pcola quicker than the rest of Florida, due to multiple evacuation routes, and less population to compete with, than the rest of FL. If y'all were seeing what I am, you wouldn't ask. You'd run right away. My dad is up here but was planning to go back to Florida (Venice). I think he'll stick around a while. I'll be curious what happens there as he's got a condo on the beach. Kilmer is in Bradenton, I hope he's packed up and left, as well as our other Floridians like Larry.